Signed to Ellen Degeneres’ record label eleveneleven after the talk show host spied the young singer on Youtube (along with around 28 million others), Greyson Chance’s chances of success multiplied infinitely. 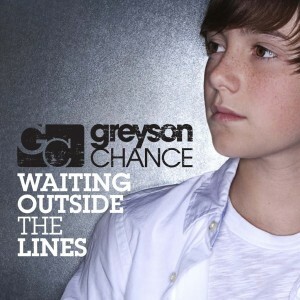 Now at just thirteen years of age, the young singer songwriter has released his debut single ‘Waiting Outside The Lines’ in the US – and yesterday he premiered the track on Ellen’s talk show. (This episode will be fast-tracked to the Nine Network and shown later today). Distributed by Geffen Records stateside, there’s no word yet on a local release for the track from Geffen’s local distributer Universal Music. His debut album is expected sometime early in 2011.